How are we progressing and towards what direction in Universitas Scientiarum? 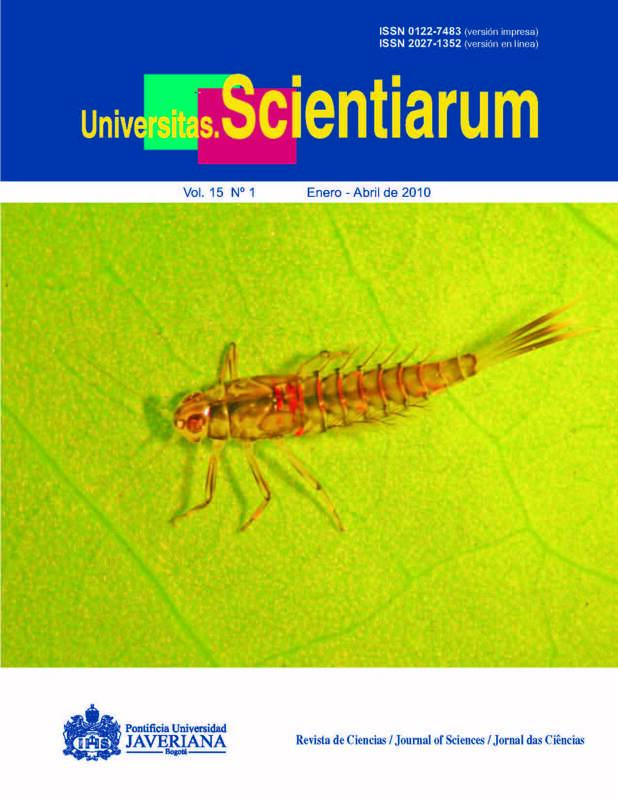 Trophic classification of aquatic insects in eight sheltered streams of the Colombian coffee ecoregion. Sexual propagation of arboloco Montanoa quadrangularis Schultz Bipontianus (Asteraceae). Preliminary study of the fauna in the Morro de Moravia open dump and presence of heavy metals in arthropods and rodents. Land use and alpha, beta, and gamma diversity of Diplopoda in the Otún basin, Colombia. Increased frequency of the D allele and the DD genotype of the angiotensin-converting enzyme in patients with a first coronary event.